Victorian outdoor lighting is the perfect way to add a timeless yet stunning touch to your construction or renovation project. Country clubs, subdivisions, and municipally owned areas can all be improved by adding antique poles and posts. Now, more than ever, there is a focus on old-fashioned charm, both inside and out. Installing lighting and other outdoor fixtures with that same Victorian aesthetic brings that same charm to your current project. These additions are a great way to impress your clients or attract buyers. Making the decision to incorporate Victorian elements in your exterior lighting is easy; finding precisely the right style is harder. There are a remarkable number of factors that contractors and builders need to consider when looking for outdoor lights. These extra decisions can turn a seemingly simple task into something more complex. However, knowing more about the options available to you will simplify the process. Using a reputable supplier is one of the most important things to keep in mind. The overall success of your project depends entirely on how it looks and how long it lasts. Using high-quality Victorian lighting fixtures outside from an experienced provider is the best way to achieve that goal. Mel Northey has supplied reproduction antique fixtures to contractors and developers for over thirty-five years. You can find attractive and durable fixtures and lights at affordable rates. Visit them online at https://melnorthey.com or call their toll-free line at 1-800-828-0302 to request a catalog or to learn more. When the time comes to choose one of their products, keep the following suggestions in mind. Your project will look visually appealing and will last longer as a result. Aesthetics are incredibly important in any outdoor lighting project. Victorian-styled options will ensure the final result is visually appealing. Standard posts and lighting can look dull and may even clash with the style of the nearby buildings or lots. 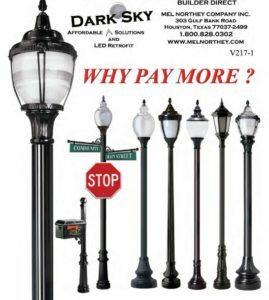 Business owners and municipalities alike want street lighting that is attractive and appealing. High-quality Victorian-styled solutions are the perfect way to satisfy those aesthetic requirements. When choosing a style of post, take a look at the surrounding areas. You will want to choose a style that blends well with other nearby outdoor fixtures. Contrasting colors or drastically different decorative elements are distracting to the human eye. Instead, aim for complimentary styles and similar shades. Avoid relying on memory or screenshots when surveying the outdoor space. Instead, print an image of the exact style you like. Ordering a printed catalog can be incredibly useful at this stage. Doing so will help you quickly and easily determine how the fixtures will look once installed. Contractors and developers can visit Mel Northey online at https://melnorthey.com to view their available outdoor fixtures. You can order paper catalogs online, or by calling 1-800-828-0302. Mel Northey has a variety of styles, designs, and colors to choose from, helping contractors find the perfect model. The brightness level itself is another factor to consider when buying Victorian-style outdoor lights. A few different things will affect the amount of light the fixture itself emits. The lighting source is a key factor, as is its encasing material. For example, a frosted globe will result in a softer light. Clear or transparent glass projects a sharper, more vibrant light that its frosted counterpart. Be sure to consider any governing legislation or legal requirements surrounding brightness levels. Some communities have minimum levels clearly set out, to ensure the safety of the area lit. To combat light pollution, municipal by-laws may also set out maximum brightness levels. If you do choose to go with LED lighting, consider purchasing a refractor or retrofit kit. Once installed, these tools reflect the light back toward the ground and away from the sky. The result is a more focused beam of light and less pollution to disrupt your view of the night sky. Mel Northey has a wide variety of commercial and municipal antique lighting available. Their products can be viewed online by visiting https://melnorthey.com or by flipping through their printed catalog. You can request a printed copy online or by calling 1-800-828-0302. Mel Northey also offers refractors and retrofit kits. 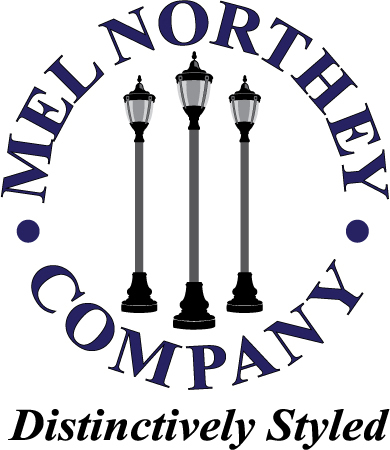 You can purchase the beautiful lighting you need and do your part for community improvement by shopping at Mel Northey. The safety and durability of the outdoor Victorian-style fixtures you choose is also an important factor to consider. Obviously, you want your project to stand the test of time, both physically and aesthetically. Ensuring that patrons and community members remain safe is also a priority. Using high-quality antique-looking fixtures can help you achieve both those goals. Shop for posts constructed with steel or cast aluminum, and find a company that offers a warranty. Pay attention to the lighting source as well as the post’s material. Most commercial and municipal lighting is either high-pressure sodium (HPS) or LED-based. These materials are cost efficient and produce a fair amount of light. Contractors should investigate LED-based options for current and future projects. LED is more energy efficient than HPS, and has a long yet predictable lifespan. HPS-based lights deteriorate over time, resulting in less effective light. LED lights withstand the test of time, and will not fade as they age. LED-based lighting sources are a much safer and more cost-effective alternative. For safe, durable lighting, visit Mel Northey at https://melnorthey.com or call 1-800-828-0302 to reach customer service agents. They offer study posts and poles in both cast aluminum and steel. They also offer a variety of lighting sources so that you can find the perfect source for the job. Choosing the best style and type of Victorian-styled exterior lighting does not need to be difficult. There are a few choices available on the market and following the tips set out above will help narrow down your search. Always shop from a reputable retailer, and keep an eye out for warranties or other purchase incentives. Contractors and developers in the Houston area or across the country can contact Mel Northey for their lighting needs. You can find Mel Northey online at https://melnorthey.com. Interested parties can also contact their customer service representatives at 1-800-828-0302 to learn more. Mel Northey has been supplying high-quality Victorian outdoor lighting for over thirty-five years and can help your project succeed. Optimized by Actual SEO Media, Inc.